Comment A group of pilgrims in a boat led by a yamabushi (mountain ascetic) blowing on a large shell, crosses the Sumidagawa under the Ryogoku Bridge. The original title of this print – Asakusagawa Okawabata Miyatogawa – was changed because it was so confusing. The three names are alternatives for Sumidagawa. 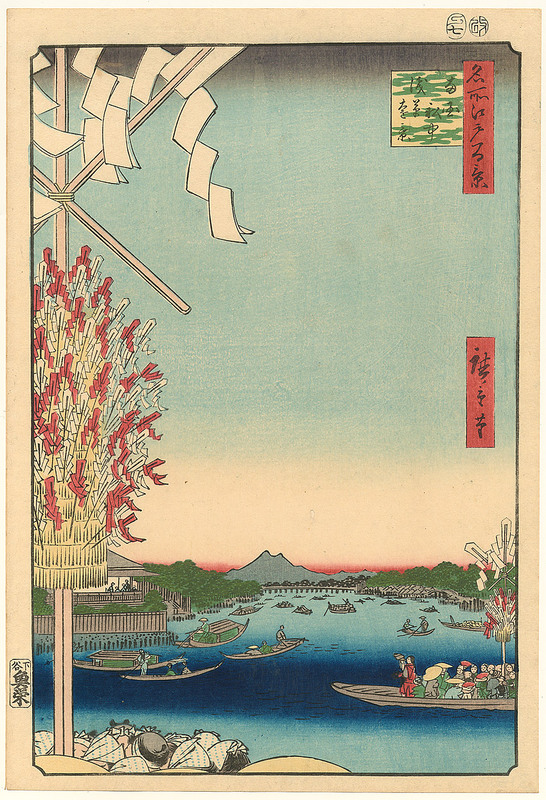 See the description in Hiroshige, One Hundred Famous Views of Edo by Henry D. Smith II and Amy G. Poster.